Topography, is the study of Earth's surface shape and features or those of planets, moons, and asteroids. It is also the description of such surface shapes and features (especially their depiction in maps). The topography of an area can also mean the surface shape and features themselves. Planetary Energetic Grid Theory falls under the heading of pseudoscience. It operates through geometric patterns called Sacred Geometry. Grids meet at various intersecting points forming a grid or matrix. This is equivalent to the acupressure points on our bodies. These grid points can be found at some of the strongest power places on the planet. Plato recognized grids and their patterns, devising a theory that the Earth's basic structure evolved from a simple geometric shapes to more complex ones. These shapes became known as platonic solids: cube (4), tetrahedron (3), octahedron (8), dodecahedron (12), icosahedron(20). 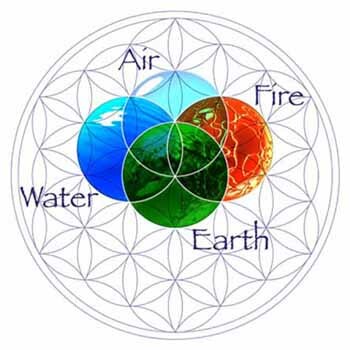 In Timeaus, Plato associated each shape with one of the elements, earth, fire, air, ether, and water. The Earth's energy grids, from the beginnings of its evolutionary course, has evolved through each of these shapes to what it is today. Each shape, superimposed, one upon the other to create a kind of all encompassing energy field that is the very basis of Earth holding it all together. Bill Becker and Bethe Hagens discussed the code of the Platonic Solids' positions on Earth, ascribing this discovery to the work of Ivan P. Sanderson, who was the first to make a case for the structure of the icosahedron at work in the Earth. He did this by locating what he referred to as Vile Vortices refer to a claim that there are twelve geometrically distributed geographic areas that are alleged to have the same mysterious qualities popularly associated with the Bermuda Triangle, the Devil's Sea near Japan, and the South Atlantic Anomaly. Becker and Hagens' attention was drawn to this research through the work of Chris Bird, who punished "Planetary Grid" in the New Age Journal in May 1975. After meeting with Bird, they completed their Grid making it compatible with all the Platonic Solids, by inserting a creation from Buckminster Fuller's work. They proposed that the planetary grid map outlined by the Russian team Goncharov, Morozov and Makarov is essentially correct, with its overall organization anchored to the north and south axial poles and the Great Pyramid at Gizeh. They believed the Russian map lacked completeness, which led them to them overlaying a complex, icosahedrally-derived, spherical polyhedron developed by R. Buckminster Fuller. In his book Synergetics 2, he called it the "Composite of Primary and Secondary Icosahedron Great Circle Sets." South America's grid triangle forms the continent around itself. In looking at the southernmost tip of South America, you can see how the force of node number 58 pushes the land away from its due south trend and towards the east. Then, if you look at node 49, on the middle of the East Coast of South America near Rio de Janeiro, you can clearly see how the force of the node has pushed the landmass of the continent into a rounded shape. Looking at Australia, you can clearly see that the whole continent, and especially the northwest side, forms very precisely within the stretching forces of this area of the Global Grid. Here, if we look to the exact north and middle of Australia on point 27, we see a circular "node point" displacing the land around it and forming the Gulf of Carpenteria. Again, the nodes themselves have shaped the land into circular "vortices," repelling the continental mass from themselves and in this case, also shaping the outline of the island directly above Australia. Node 44 is precisely aligned with the bottom of Antarctica, and we see either edge "drooping" to the right or the left from this. According to Richard Lefors Clark, this is the "bowtie" energetic configuration showing itself in the Australian landmass, which he calls a "diamagnetic energy vortex." We will examine how such a shape could be formed by the curved, spiraling energies that make up the grid below. Clark also shows us that the Gulf of Mexico follows this same curving energetic organization, as well as the two coastlines of the continental United States. Africa shows the combined action of two larger triangles, one with the point facing downwards on the African continent and its neighbor pointing upwards, griding the Indian Sea. The downward-pointing triangle certainly describes Africa well, and the extra land on the western side can be explained by the pressure coming from the Mid-Atlantic Ridge, which is almost precisely the same as the Atlantic grid line formed by points 10, 19, 37, 38, 39 and 50. The east coast of Africa and Saudi Arabia follow the eastern side of the triangle very nicely, on the grid line from point 41 to point 12. Node point 22 gently pushes in on Africa's east coast, causing it to dip inwards as it travels and forming the Somalia Basin. We can also assume that the "cracks" separating Africa and Saudi Arabia were caused by the expansion of the Grid, forcefully pulling the land into alignment. The "crack" to the immediate left of point 12 follows the grid line exactly. And finally, the upward-pointing triangle can be clearly seen to cut its way right into the land, with Africa's coast defining its left side and India's coast defining its right. In this next illustration, we can see how point 21, in the center of the African continent, works with its above-right partner point 20 in providing a framework for the bow-shaped energy vortex that shaped the northeast coast of Africa. Point 20 is the only "vile vortex" that is significantly inland; 41, near South Africa, and 42, near India, are the only others that touch land at all! This is probably due to the incredible strength that they possess, which seems to repel landmasses. We can see how the northeast coast of Africa is indeed very circular, and point 20 is directly at the center of this "bowtie" of energy. We see Dr. Lefors Clark's bow-shaped "diamagnetic energy vortex" shaping the land in a smooth curve. We can also see the same curving formation created by the east coast of India and the west coast of the China / Korea / Vietnam area of Asia. This vortex is balanced between points 24 and 13. We remind ourselves that these smooth curves illustrate the spiraling nature of the superstrings that make up these geometric energy fields, here expressed as spiraling lines of magnetic force. According to Dr. Clark, the point at the center of the "bowtie" becomes a magnetic null zone of zero gravity when appropriately triggered by the right geometric positions of the Sun, Moon and Planets to the Earth. In those moments of conjunction, there is a "hyperdimensional bleed-through," and we then get time dilations. In picture number 1, we have our straight grid map of China for comparison. Picture 2 has three circular vortexes in it. We have already discussed the bottom left vortex in India and China. Then, the center vortex shapes the East Coast of China, based off of and emanating from point 13. The uppermost and largest vortex in Picture 2 shapes the entire Japanese and Russian archipelago, and is centered in and emanating from point 4. In picture number 3 we have a vortex centered in Sanderson's "vile vortex" near Japan, the "Devil's Sea," here listed as point 14. This vortex is "equalized" by points 25 and 26, both of which are equidistant from the edge of the circle. And obviously, Indonesia precisely traces the bottom left of the circle itself. This is obviously a very strong vortex to be able to shape the land of Indonesia from where it stands, according to Becker and Hagens. Another area of continuing disappearances and mysterious time-warps is the Devil's Sea located east of Japan between Iwo Jima and Marcus Island. Here events have become so sinister that the Japanese government has officially designated the area a danger zone. This area was significant enough to the work of Bermuda Triangle author Charles Berlitz that he wrote a whole book dedicated to it and the "bigger picture," entitled The Devil's Triangle. It is becoming more and more clear that our geometric shapes, expressed as the consciousness unit expanded to a planetary scale, are far more than abstract concepts of theoretical physics. What we have here are direct, quantifiable and measurable phenomena, and these geometry-based Grid patterns are simply the simplest, and therefore the best solution to the problem. The "grid bands" on the Earth and how their effects shaped the Ring of Fire', the flowing of the Nile River, the "node point" of the Egyptian northern coast centered in 'Giza, and the vertical structure of the Yucatan Peninsula. Now, with the full map of the Becker-Hagens grid, we can see a great deal more from the effect of these straight longitudinal lines. By referring back to the main map, the reader can clearly see that the entire Eastern side of Hudson Bay in Canada precisely follows the line from 18 in Florida to 9 in the Bay to 61 at the North Pole. Furthermore, all of England is precisely within the line created by point 20 in Africa, through point 11 in England to point 61 at the North Pole. So, there are a variety of ways to see this energy at work on Earth. One can begin to visualize this Grid energy as a living net of "wires" that are tightly stretched over a thin balloon. It is obvious to us that what we think of as randomly placed continents are actually conforming to this massive energy, disappearances, gravity loss, levitation and other related phenomena. Becker-Hagens explain how these grid points seem to attract large population centers. Look at the South American landmass. Not only does it fit perfectly a Grid Triangle, but we can see a circular, bowtie-shaped energy at work in the actual shaping of the landmass itself. This "bowtie" is nearly centered within the diamond that is formed between points 18, 35, 37 and 49. We already saw the African "vile vortex" shaping a similarly large "bowtie" in the above diagrams. The offset of the South American landmass from being precisely within this "diamond" again could be accounted for by the pushing of the Mid-Atlantic Ridge, which follows the lines of the Global Grid with amazing precision. Looking back at the Becker-Hagens map, it is quite easy for us to see how this line clearly demarcates the separation between the continents, just as the Mid-Atlantic Ridge is the point of expansion between the two continental plates. An elliptical-shaped gravity field is clearly visible when the center is placed directly in node 15. If we use any standard image editing program and "drag out" an ellipse using point 15 as a center, we can indeed align it precisely with the island formations to the far west of our diagram. We can see the amazing connections of this energy formation as soon as we start looking at the diagram. We can try other center points besides 15, but the ellipse will not fit anywhere else as precisely as it does right at that spot. This massive energy vortex seems to provide the clearest Grid counterpart for the existence of the Ring of Fire, which is a ring of volcanoes and tectonic activity surrounding the Pacific Ocean. When we look at this "grid ring" carefully, we can see that it represents the perfect fusion between the Earth's landmasses and the Global Grid. Going clockwise from the 12:00 point, the ring will perfectly touch a "square" of grid points, as 7, 31, 27 and 5. (Node point 27, near Australia, is the only one that isn't touched exactly. We can also see that this ellipse is well defined by points 14 and 16, again Sanderson's incredibly powerful "vile vortices," the points of the icosahedron. We have already seen how the incredible gravitational force of these "vortices" was able to shape the entire upper Western half of Africa into an elegant, circular shape. Now, we are seeing two of these vortices working together to form an even larger shape. The ring forms part of the East Coast of China, as well as a good part of the upper Russian coastline surrounding node 5. It also defines part of the southern coastline of Alaska. The grid points 14 and 16 would be akin to the two poles of the dividing cell. The grid lines provide us with a simplified depiction of the "spindle fibers" that form in cell mitosis. The actual ring of energy that is created forms a precise analog of the nuclear membrane of the cell, as it continues its expanding, elliptical process of division. Ley lines are alleged alignments of a number of places of geographical interest, such as ancient monuments and megaliths that are thought by certain adherents to dowsing and New Age beliefs to have spiritual power. Their existence was suggested in 1921 by the amateur archaeologist Alfred Watkins, in his book The Old Straight Track. The believers in ley lines think that the lines and their intersection points resonate a special psychic or mystical energy. Ascribing such characteristics to ley lines has led to the term being classified as pseudoscience. Ley lines can be the product of ancient surveying, property markings, or commonly traveled pathways. Many cultures use straight lines across the landscape. In South America, such lines often are directed towards mountain peaks; the Nazca lines are a famous example of lengthy lines made by ancient cultures. Straight lines connect ancient pyramids in Mexico; today, modern roads built on the ancient roads deviate around the huge pyramids. The Chaco culture of Northwestern New Mexico cut stairs into sandstone cliffs to facilitate keeping roads straight. Additionally, chance alignments and coincidence are often cited as explanations that cannot be ruled out. The concept of ley lines was first proposed by Alfred Watkins. On June 30, 1921 after Watkins visited Blackwardine in Herefordshire, and went riding a horse near some hills in the vicinity of Bredwardine. There he noted that many of the footpaths there seemed to connect one hilltop to another in a straight line. He was studying a map when he noticed places in alignment. "The whole thing came to me in a flash", he later told his son. However, in September 1870, William Henry Black gave to the British Archaeological Association, in Hereford, a talk titled Boundaries and Landmarks, in which he speculated that "Monuments exist marking grand geometrical lines which cover the whole of Western Europe". It is possible that Watkins's experience stemmed from faint memories of an account of that presentation. Watkins believed that, in ancient times, when Britain was far more densely forested, the country was crisscrossed by a network of straight-line travel routes, with prominent features of the landscape being used as navigation points. This observation was made public at a meeting of the Woolhope Naturalists' Field Club of Hereford in September 1921. His work referred to G. H. Piper's paper presented to the Woolhope Club in 1882, which noted that: "A line drawn from the Skirrid-fawr mountain northwards to Arthur's Stone would pass over the camp and southern most point of Hatterall Hill, Oldcastle, Longtown Castle, and Urishay and Snodhill castles." The ancient surveyors who supposedly made the lines were given the name "dodmen". Watkins published his ideas in the books Early British Trackways and The Old Straight Track. They generally met with skepticism from archaeologists, one of whom, O. G. S. Crawford, refused to accept advertisements for the latter book in the journal Antiquity. Most archaeologists since then have continued to reject Watkins's ideas. Despite the mostly negative reception to his ideas, some experts have made observations similar to Watkins's. Megalithic researcher Alexander Thom offered a detailed analysis of megalithic alignments, proposing a standardization of measure by those who built megaliths, but avoided the term ley line. The discovery by Europeans of the Nazca lines, man-made lines on desert pavement in southern Peru, prompted study of their astronomical alignments. Archaeological: A new area of archaeological study, archaeogeodesy, examines geodesy as practiced in prehistoric time, and as evidenced by archaeological remains. One major aspect of modern geodesy is surveying. As interpreted by geodesy, the so-called ley lines can be the product of ancient surveying, property markings, or commonly travelled pathways. Numerous societies, ancient and modern, employ straight lines between points of use; archaeologists have documented these traditions. Modern surveying also results in placement of constructs in lines on the landscape. It is reasonable to expect human constructs and activity areas to reflect human use of lines. Cultural: Many cultures use straight lines across the landscape. In South America, such lines often are directed towards mountain peaks; the Nazca lines are a famous example of lengthy lines made by ancient cultures. Straight lines connect ancient pyramids in Mexico; today, modern roads built on the ancient roads deviate around the massive pyramids. The Chaco culture of Northeastern New Mexico cut stairs into sandstone cliffs to facilitate keeping roads straight. New Age: Some writers widely regarded as pseudoscientific have claimed that the ley lines and their intersection points resonate a special psychic or magical energy. These theories often include elements such as geomancy, dowsing or UFOs. Some similar believe these points on lines have electrical or magnetic forces associated with them. Skeptical: Skeptics of the actuality of ley lines often classify them as pseudoscience. Such skeptics tend to doubt that ley lines were planned or made by ancient cultures, and argue that apparent ley lines can be readily explained without resorting to extraordinary or pseudoscientific ideas. Watkins's theories have been adapted by later writers. Some of his ideas were taken up by the occultist Dion Fortune who featured them in her 1936 novel The Goat-footed God. Since then, ley lines have become the subject of a few magical and mystical theories. Separate from other spiritual theories of ley lines (and likely used for propaganda purposes), two German Nazi researchers Wilhelm Teudt and Josef Heinsch have claimed that ancient Teutonic peoples contributed to the construction of a network of astronomical lines, called �Holy lines� (Heilige Linien), which could be mapped onto the geographical layout of ancient or sacred sites. Teudt located the Teutoburger Wald district in Lower Saxony, centered around the dramatic rock formation called Die Externsteine as the centre of Germany. Nazism often employed ideation of superiority and associated Aryan descent with ancient higher cultures, often without regard for archaeological or historic fact. See religious aspects of Nazism. Watkins's discovery happened at a time when Ordnance Survey maps were being marketed for the leisure market, making them reasonably easy and cheap to obtain; this may have been a contributing factor to the popularity of ley line theories. Given the high density of historic and prehistoric sites in Britain and other parts of Europe, finding straight lines that "connect" sites (usually selected to make them "fit") is trivial, and ascribable to coincidence. The diagram to the right shows an example of lines that pass very near to a set of random points: for all practical purposes, they can be regarded as nearly "exact" alignments. For a mathematical treatment of this topic, see alignments of random points. Since the existence of alignments themselves are not controversial, analysis can proceed by an attempted rejection of the null hypothesis that ley-line-like alignments are due to random chance. Statistical analysis by skeptics of this hypothesis shows that random chance is consistent with the evidence. One study by David George Kendall used the techniques of shape analysis to examine the triangles formed by standing stones to deduce if these were often arranged in straight lines. The shape of a triangle can be represented as a point on the sphere, and the distribution of all shapes can be thought of as a distribution over the sphere. The sample distribution from the standing stones was compared with the theoretical distribution to show that the occurrence of straight lines was no more than average. Archaeologist Richard Atkinson once demonstrated this by taking the positions of telephone boxes and pointing out the existence of "telephone box leys". This, he thus argued, showed that the mere existence of such lines in a set of points does not prove that the lines are deliberate artifacts, especially since it is known that telephone boxes were not laid out in any such manner, and without any such intention. Straight lines also do not make ideal roads in many circumstances, particularly where they ignore topography and require users to march up and down hills or mountains, or to cross rivers at points where there is no portage or bridge. Alfred Watkins identified St. Ann's Well in Worcestershire as what he believed to be the start of a ley line that passes along the ridge of the Malvern Hills through several springs including the Holy Well, Walms Well and St. Pewtress Well. In the late 1970's Paul Devereux stated he had discovered the Malvern Ley which began at St Ann's Well and ended at Whiteleaved Oak. The alignment passes through St. Ann's Well, the Wyche Cutting, a section of the Shire Ditch, Midsummer hillfort and Whiteleaved Oak. The Hartmann net consists of naturally occurring charged lines, running North-South and East-West. It is named after Dr. Ernst Hartmann, a well regarded German medical doctor, who first described it soon after the second world war. Alternate lines are usually positively and negatively charged, so where the lines intersect it is possible to have double positive charges and double negative charges, or one positive and one negative charge. It is the intersections that are seen to be a source of potential problems. The Hartmann Net appears as a structure of radiations rising vertically from the ground like invisible, radioactive walls, each 21 centimetres (9 inches) wide. The grid is magnetically orientated, from North to South they are encountered at intervals of 2 metres (6 feet 6 inches), while from East to West they are 2.5 metres (8 feet) apart. Between these geometric lines lies a neutral zone, an unperturbed micro-climate. This network penetrates everywhere, whether over open ground or through dwellings. The Hartmann net has been defined using the Chinese terms of Yin and Yang. The Yin (North-South lines) is a cold energy which acts slowly, corresponds to winter, is related to cramps, humidity and all forms of rheumatism. The Yang (East-West lines) is a hot, dry rapidly acting energy. It is related to fire and is linked to inflammations. The points formed by the intersection of these lines, whether positive or negative, are dynamic environments sensitive to the rhythms of the hours and the seasons. 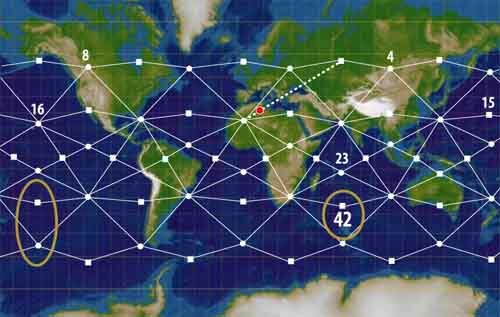 It has been suggested that both the Curry grids and Hartmann Net are earthing grids for cosmic rays that constantly bombard the Earth, and that they can be distorted by other things, such as geological fault lines and underground mining. It is also possible to have spots where the Curry and Hartmann lines cross, causing further potential problems. These spots are generally seen to be more detrimental than a single crossing within the Curry or Hartmann system. Earth radiation is a hypothetical geophysical phenomenon described primarily by the German authors Manfred Curry and Ernst Hartmann. This is known as Curry Lines. Both men describe a mystic force field, similar to Odic force, Mana, and Qi, that covers the Earth at regular intervals and can be detected by dowsing using a divining rod. It is not supposed to be detectable by common scientific instruments but some still connect it to telluric currents, which are actual phenomena, detectable by scientific instruments. Placing people or other living things in certain spots of the earth radiation knots is believed to be beneficial/harmful depending on radiation flow direction. It connects to the Gaia philosophy and vitalist school and is very popular in certain New Age circles in Europe, especially in Germany. Curry lines are approximately 3 meters apart (with variations), diagonally to the poles, east to west. Hartmann lines run both east-west and north-south forming a grid across the earths surface with a distance of circa 2 meters in the north-south direction and 2.5 meters in the east-west direction. Ley lines are man-made energy lines, created by stone formations such as stone ships or other ancient archaeological structures. The knowledge of creating Ley lines is supposed to be lost. Black lines seem to be naturally generated, although quite how is not known. They may be localized and do not form a network in the same way as Hartmann and Curry lines. This could be similar in nature to the "sha", or deadly energy lines of Chinese Feng-Shui. They can be curved, straight, at ground level or higher, even found in the upper levels of buildings. There have been described 2 types of Black lines, one as "black and depressed", the other as "shiny, black, hard and sharp." They could possibly represent the flow lines of a negative type of "orgone-type" energy as described by Wilhelm Reich.